Printable Coupon: Get a $1 discount on any one Luvs diaper pack. (Excludes Trial Sizes). 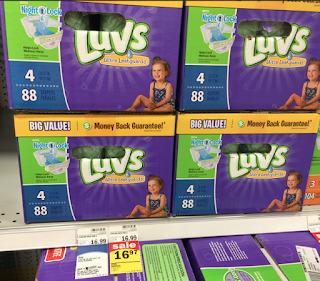 Note: If you shop at target grocery stores, you can print a $1 Luvs diapers coupon here, or you can load a $2 Luvs mobile coupon here to show in store. Mobile coupon. Save $2 on any one Luvs diapers when you buy one luvs diapers. 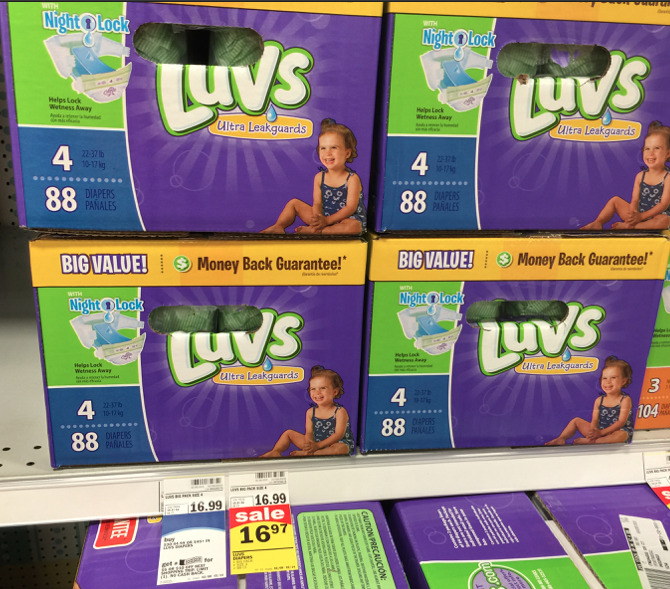 Printable Or Mobile In Store: $2 or $1 discount on one pack of luvs diapers. You will have to register and log in to access coupons. With Ultra Leak Guard Protection. In Store mobile coupon from Target. Print a coupon from luvsdiapers.com for their new night and lock diaper product. Heading to Kroger? Bring this coupon and Save $0.50 on Luvs when you buy any ONE Luvs Diapers (excludes trial/travel size).